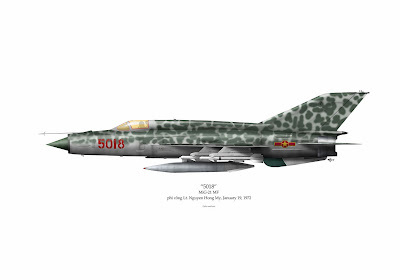 Profile 83 - FINAL/UPDATE: The MiGs of the North "5018" as flown by Nguyen Hong My and "573" as flown by Bob Mock and John Stiles. It's a sinister looking thing don't you think? For me, it seems more like something out of a 1960s Japanese Godzilla movie than an actual, historical fighter plane. But in fact, the MiG-21 is the single-most produced jet fighter plane, ever. If you count the Chinese copies, nearly 14,000 of the metal dragons were built with the last ones coming off the line in 2013. To the North Vietnamese Air Force, however, such numbers were pure fantasy as the VPAF only received about 220 MiG-21s between 1966 and 1973. Based on typical jet serviceability, total fighter numbers, rates of delivery and a little one-eyed guesswork, it's easy to believe the common legend that the VPAF only had about 60 jets² in-service at one time. Tops. It seems ridiculous to think that such a small force would be even worth the effort against the massive amount of American airpower at-hand. Yet, they were, and they were utilized rather well. 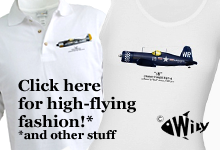 Depending upon the source, the US:VPAF kill ratio in air-to-air combat was very close to 1:1.³ A far cry from the WWII days when Navy F6F Hellcat pilots could boast of a 13:1 ratio over the Japanese A6M Zero! The reasons behind the VPAF's comparative success are not mysterious. For one, the VPAF had an excellent but frugal command and control system. In other words, the MiGs weren't scrambled without good reason, good timing and a good chance for success. 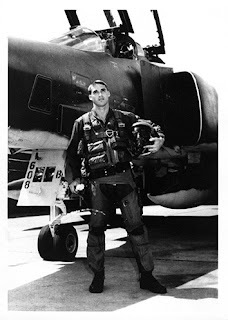 For two, the American pilots had the burden of the attack. Managing the target, weapons systems, battle plan, avoiding missiles, AAA and MiGs was simply more to manage than the defender's single focus. Yet, it's perhaps the third reason that is most revealing; the VPAF had achieved the Warrior's Zen. Pilot Nguyen Hong My said it best, "We (felt like) were going to die. We accepted this. So, we didn't fight to survive any longer. Instead, we fought to merely lengthen our life, moment by moment." Understanding this statement may seem like an exercise in semantics but it's rather clear if you think about it; the Vietnamese air force created an ethos of efficiency. And, like any organizational culture, it couldn't tolerate those who didn't fit in. For any reason. Ok, time for a rabbit trail. The American "Sidewinder" missile is one of the great weapons of all time. It's simple, cheap and so effective, its obsolescence is still at least twenty years away. Pretty good for a 1950s design! It is also so good that the Russians, when they got their hands on one in the early '60s, didn't bother to improve it. They just copied it lock-stock and fin and called it the K-13. NATO, on the other hand, called it "Atoll." If you've ever wondered if anyone ever really used high school trigonometry after graduation, the guidance system designers of the Sidewinder did. In a nutshell, a little temperature-seeing "eye" is in the nose of the missile taking regularly spaced "pictures" of the target ahead. When the eye sends a picture to the missile's "brain," it compares it to the previous one; the differences result in rapid flicks of the missile's fins to keep the missile following the trail of heat generated by the other jet's exhaust. This is why Sidewinder missiles are called "heat seekers." Anyway, MiG-21s used Atoll missiles. Most 21's carried but two. But the MiG-21MF, like Hong My flew, carried four. Ok, so to the VPAF bean-counters, four missiles should be four times as effective. Right? Well…maybe not. See, missiles are a lot like your wife buying a dress on the internet - it looks one way on the screen but when the dress is removed from the cardboard box and held up in front of the mirror? Maybe n0t-so-much. Under ideal conditions, the Sidewinder generated a 90% success rate. In combat practice, it only had an 18% success rate. That’s a 72 point spread! So, in other words, the Sidewinder system was one that depended on a large number of variables for success. It's a lot like how hamburgers almost never look exactly like the photograph on the menu board. No one says they NEVER look EXACLY like that, but we all know they don't! Now the above numbers were for American-made Sidewinders. The Russian-made Atolls were supposedly far less effective due to manufacturing inconsistencies. Kind of like what would happen if Burger King tried to copy the Big Mac. Ok. Back to Hong My's MiG-21. Now, remember the Vietnamese penchant for efficiency? This meant that their time-on-target was carefully calculated to be the least amount of time with the greatest chance of success. At first blush, Hong My's 4-missile MF variant, with twice the regular firepower, should have doubled the chance of success. But it doesn't necessarily work that way in an environment that is constantly dynamic and a system that operates under complicated variables. In other words, a practical x% hit-rate might be expected for two missiles, but four would not necessarily generate a 2x% hit-rate. It's quite possible that, on a missile by missile basis, 4 missiles may actually have been less efficient than 2! 'It's time to bring Hong My back into the conversation. Alright ONE MORE rabbit trail. The Vietnamese weren’t foolish. As precious as the missiles were, as valuable as the MiG-21s were, the pilots were even more so. The VPAF weren’t going to put their best and brightest against an American formation in a suicide mission. So, if Hong My were to survive against long-odds, he was going to have to take a 4-missile pot-shot and get the HELL OUT OF THERE! To some people, there's an inherent unfairness in being chastised for "bad luck." Yet, those who have accepted the mantle of Responsibility understand that luck doesn't can't exist. Responsibility can only be born by a human being. Looked at another way, if a missile success would bring glory, a missile failure, no matter how intangible the cause, should likewise bring shame. And so it was, 17 January, 1972. 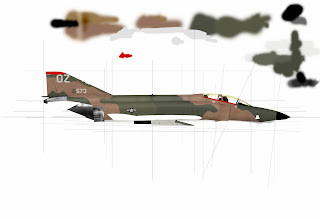 ...and my artwork of his RF-4C Phantom. Now. Have another look at 5018 and notice the date. Obviously Hong My got another chance to fly with four missiles. But this time, he would only use two. ¹There is some question between records whether the event was on the 19th or the 20th. More research is going into this question at a later date. ²Jets of all varieties - MiG 17, 19 AND 21s. ³My sources varied between 1.2:1 and 2:1 in favor of the Americans. There's a LOT more to this and I'll cover it in a later post. ⁴Hong My remembers having a number of missiles shot back at him, too. That he or his wingman weren't hit only adds to the mercurial nature of the technology.